With satellites from India, Germany, the U.S., Canada and Indonesia hidden under its payload fairing, PSLV lifted off from the Satish Dhawan Space Center at 3:56 UTC. The 44-meter tall rocket – without failure for almost two decades – fired its four stages in a powered flight lasting sixteen and a half minutes ahead of a ten-minute separation sequence of satellites of all shapes and sizes into a 505-Kilometer orbit. 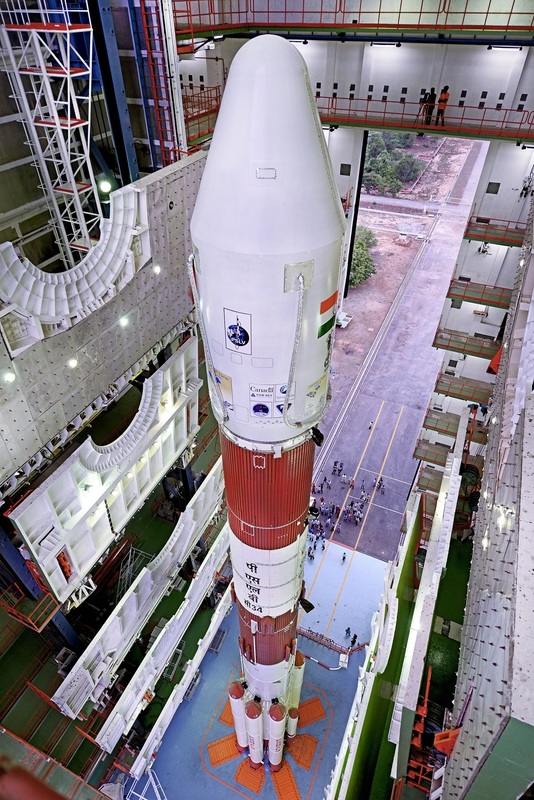 PSLV, India’s flagship rocket in operation since the 1990s, makes use of a combination of the raw power of solid rocket stages and the precision & maneuverability of liquid-fueled engines. 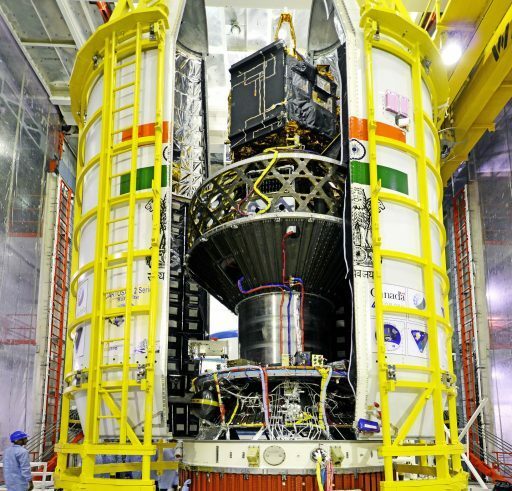 The 320-metric-ton PSLV headed into a long countdown on Monday to undergo fueling on its second and fourth stages as well as the roll control thrusters on the powerful first stage. 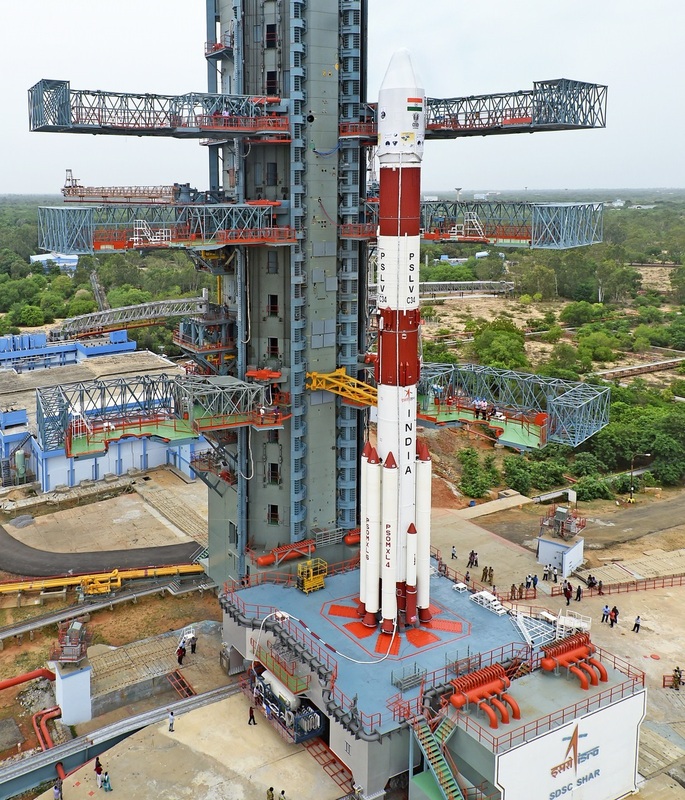 The extremely long countdown culminated in a 14-minute automated sequence to transition the PSLV to its autonomous flight mode as the Real Time Program kicked in to take the vehicle through the final steps ahead of ignition. When the countdown hit zero, PSLV fired up its 20.3-meter Core Stage and four of the six Solid Rocket Boosters, jumping off with a thrust of 700 metric ton-force – creating a thrust to weight ratio of 2.2 for a quick vertical climb-out. Burning through 1,600 Kilograms of propellant each second of powered flight, PSLV swung to the south-east, initially holding this heading to steer clear of the island of Sri Lanka. Once the rocket had traveled far enough to remain clear of the island, a powered turn known as a Dogleg maneuver was made to transition the vehicle to a south-westerly path taking it to the desired orbital inclination of 97.48°. The remaining two boosters started up at T+25 seconds and raised PSLV’s total thrust to 803 metric-ton-force. Each of the 12-meter long boosters burned for 50 seconds, consuming 12,000 Kilograms of propellant to deliver additional thrust to lift the vehicle off the ground. Separation of the ground-lit boosters occurred 70 seconds into the flight followed twenty seconds later by the jettisoning of the air-lits. The core stage consumed 138 metric tons of propellants in one minute and 45 seconds when thrust tailed off followed by the pyrotechnic separation of the stage. The liquid-fueled Vikas 4 engine on the PS2 stage soared up immediately after staging, delivering 81,500 Kilogram-force of thrust over a burn of two and a half minutes, guzzling down 40,700kg of hypergolic propellants. PSLV entered closed loop steering during the second stage burn to dynamically adjust its flight profile based on measured navigation data – PS1 flew a pre-programmed attitude profile to make it through the dense atmosphere. The 20-satellite payload stack was revealed T+2 minutes and 35 seconds after liftoff when PSLV had passed 115 Kilometers in altitude. The second stage finished its job four minutes and 21 seconds after liftoff and handed off to PS3 that ignited on a burn of 112 seconds, generating 25,000 Kilogram-force of thrust by burning a solid propellant mix. Upon third stage tail-off, the vehicle completed two minutes of coasting before dropping the PS3 and firing up the twin L-2-5 engines of PS4, tasked with a burn of 8 minutes and 13 seconds. With a low thrust of 1,500 Kilogram-force, the twin engines successfully pushed the stack into an orbit of 507.8 by 509.6 Kilometers, inclined 97.49 degrees. Immediately after cutoff on the fourth stage, the vehicle entered a careful ballet of attitude maneuvers and separation events to send all 20 satellites on their way. 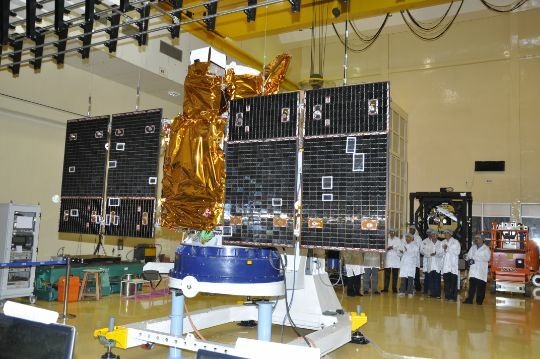 First to depart the launch vehicle was CartoSat-2C, the primary payload of the PSLV C34 mission. Operated by ISRO, CartoSat-2C joins a program initiated back in 2005 to collect high-resolution images of Earth for environmental monitoring and cartography. 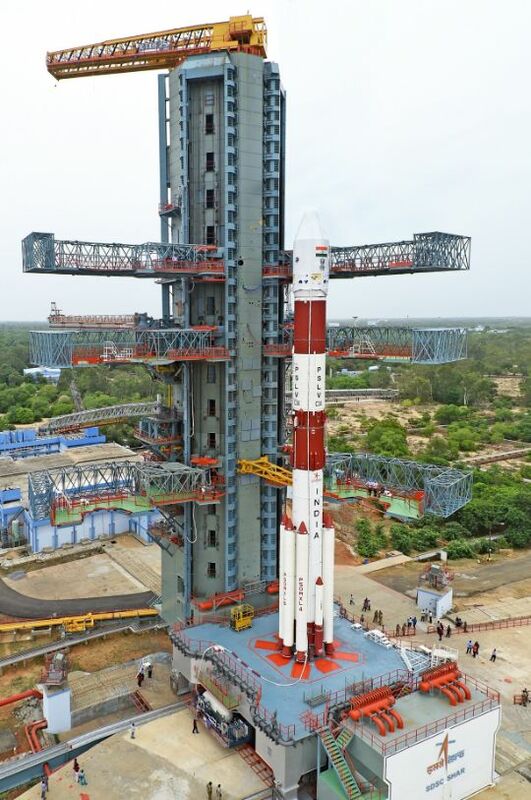 The 2C satellite will collect panchromatic images at a record-setting 65-centimeter ground resolution, the highest for any Indian satellite launched to date. 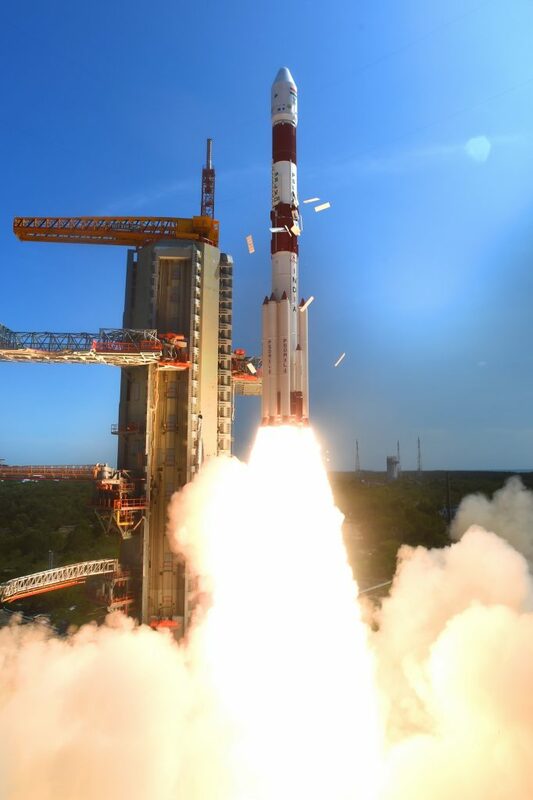 Next to separate from the vehicle were two student-built CubeSats from India – SB Sat, a 2U CubeSat outfitted with an infrared spectrometer to study atmospheric constituents, and Swayam, a 1U satellite dedicated to a passive stabilization demo and point-to-point communications for radio operators. 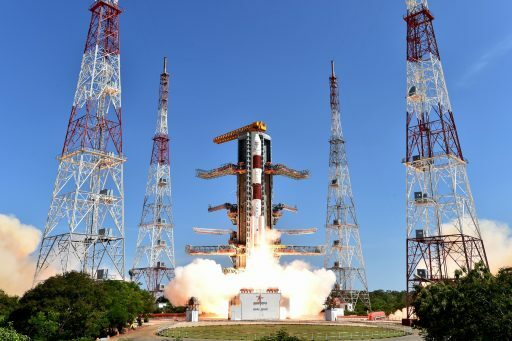 Upon release of the three Indian satellites aboard the vehicle, the upper payload platform was jettisoned and cleared the way for the separation of the remaining 17 satellites. The next satellite duo to be separated were LAPAN-A3 from Indonesia and BIROS from Germany. LAPAN-A3 hosts a pair of Earth imaging telescopes, collecting 5-meter resolution black-and-white images and color photos at a 19-meter resolution while also tracking ship movements on a global scale. BIROS hosts three infrared imaging systems to detect hot-spots such as wild fires and volcanoes and automatically notify operators and first responders. The satellite will release the BEESAT-4 CubeSat which demonstrates a GPS payload and serves as a target for BIROS in an autonomous rendezvous and relative navigation exercise to study tools for future On-Orbit Satellite Servicing. M3MSat from Canada and SkySat C1 from the U.S. were next to be ejected from the fourth stage. M3MSat, having waited for liftoff for over two years after being moved from the Soyuz rocket, sets out to track ships in Canadian waters and demonstrate a low-rate communications relay system. Terra Bella, a subsidiary of Google, celebrated the launch of SkySat C1 as the first operational satellite in a constellation to include over 20 spacecraft for the collection of Earth imagery to be offered on the commercial market, reaching ground resolutions of 90 centimeters. GHGSat-D, also a Canadian development, will demonstrate a miniaturized imaging spectrometer capable of detecting spot-sources of greenhouse gas emissions to help industries track their emissions on an unprecedented scale and accuracy. The final step for the PSLV rocket was the release of 12 Dove Satellites from three CubeSat Deployer Systems, completed in a seven-minute sequence. This marked the first polar orbit launch this year for Planet Labs and its Flock of Earth-imaging satellites that employ a number of launch vehicles and deployment from the Space Station to maintain a large number of active satellites in orbit for responsive imaging capabilities. 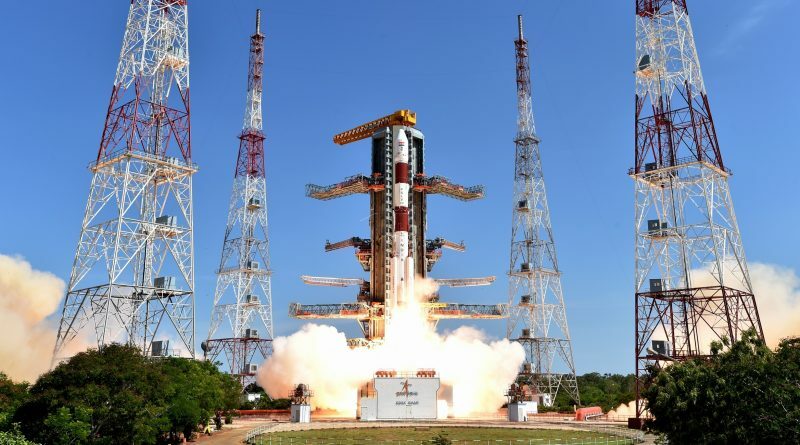 The launch of 13 satellites from the United States on the PSLV was only possible after waivers were approved by the U.S. government as legislation is in place prohibiting American satellites from flying on foreign launch vehicles in an effort to foster growth in the small satellite launch business within the country. However, while a number of small-sat launchers are in development by different companies, none are currently in operation – requiring satellite operators to resort to PSLV and other foreign alternatives. For PSLV, Wednesday’s mission marked the 36th launch and 34th success with another very precise orbital delivery. Having dropped off a total payload mass of 1,288 Kilograms, the PSLV fourth stage headed into an extended mission with a pair of L-2-5 engine re-starts to demonstrate the fourth stage’s capability of firing multiple times to reach different orbits in a single mission. This capability will be introduced on future missions to make the PSLV launch system more flexible by allowing satellites to be launched into different orbital trajectories. A first re-start test of the PS4 stage on the C29 mission showed good results and engineers continued tweaking the re-start sequence to ensure a safe ignition of the powerplant.